***Note: Box shown above is a sample box. 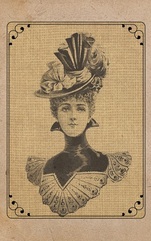 We do not use actual clues from our Murder Mystery Boxes in promotional material so as to not spoil the mystery. ​Please note that we only ship within the United States at this time. 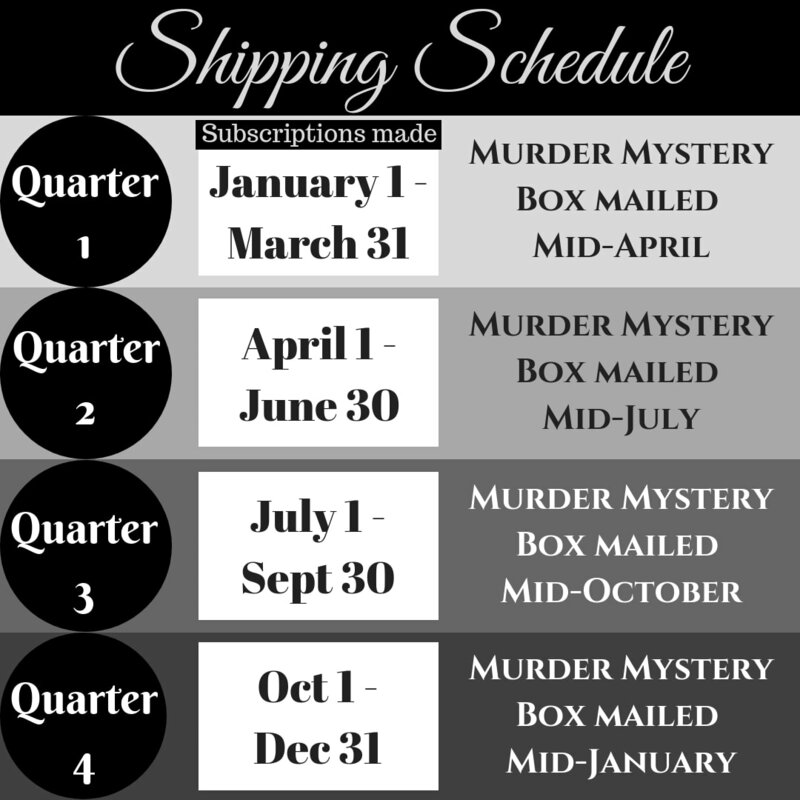 Your credit card or PayPal account will be billed every 3 months for each new Murder Mystery Box. Contained within your murder mystery box you will receive an object summarizing a crime that has been committed. This summary could be in the form of a journal, a case file, a personal log, diary, or some other similar item. The writer of the summary is someone who is related to the crime, either by proximity or by the investigation itself. Subscribe today to take part our next mystery adventure. Alternatively, we have one-time murder mystery boxes available for immediate purchase. If you'd like to order a one-time annual subscription as a gift, visit our Annual Subscription Page for more information. Should you have any questions about our cancellation policy, please visit our Cancellation Page. The cut-off for new orders is the last day of the calendar quarter. Miss out on a previous box? ​Visit our One-Time Order page to see what we have in stock.